One of the highest grossing films of the 1940s, the music for the film was composed by Pankaj Mullick. The film saw P.C. Barua coming together once again with K.L. 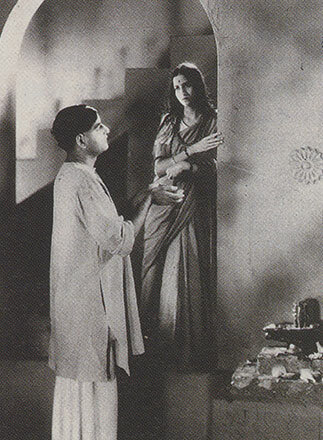 Saigal along with the actress Jamuna. It was a film that not only challenged social mores but also explored the complexities and consequent disillusionment of an unusual platonic relationship between an unmarried couple living together. Not surprisingly, it created quite a stir upon its release. The film contains the evergreen Saigal song ‘So jaa rajkumari, so jaa’.